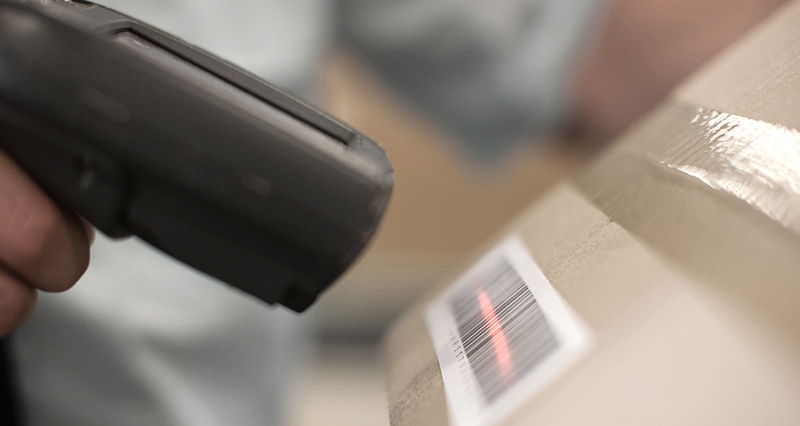 Did you know that more than five billion barcodes are scanned every day? It’s true, according to GS1, the Brussels-based nonprofit that maintains international UPC standards. 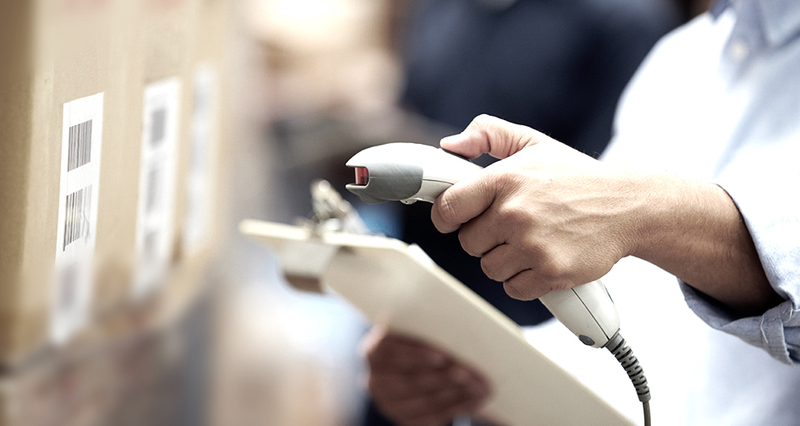 With that many barcodes circling the globe, supply chain management is more important than ever. Imagine the lowly barcode has grown up. Since becoming a workplace staple in 1974 when a grocer successfully scanned a pack of Wrigley’s Juicy Fruit gum, barcodes have become a viable solution to effective supply chain management by providing a clear, traceable path from supplier to consumer, saving both time and money along the way. To illustrate the important role barcodes play in a product’s provenance, let’s follow a barcode label as it successfully travels across the supply chain. It all begins with an automated barcode system. It was a bright day when I landed in the hands of a happy employee after being sped through an industrial barcode printer. Pretty soon other family members followed, each decked out in black and white stripes with unique numbers and letters on them. However, some of my siblings and cousins looked different from me they were customized with colors and instead of black bars, they contained a series of squares. Some didn’t even have numbers or letters on them and others came out on plastic ID cards. Regardless, our new family seemed pleased that we had all arrived without any problems and quickly escorted us to nearby areas where other groups of employees warmly greeted us. 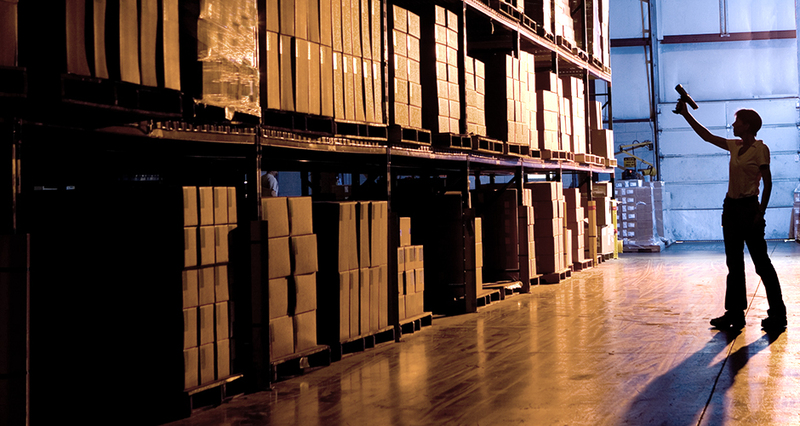 Barcodes expertly track and trace products, parts, and people. Before we knew it, those of us with peel-and-print materials had been gently, yet speedily, placed onto boxes, parts, and products where we would happily live. I was lucky enough to land on a big box that said “FRAGILE” on one side. I wondered what that meant. Whatever it was, I knew it was important given the way everyone was carefully carting me onto a forklift, where boxes like mine were purposefully placed onto a pallet. A cool-looking vehicle-mount mobile computer quickly took our pictures before sitting us down on a dock next to some smaller packages. A big truck backed up to the dock and I and my other boxy friends were packed up. We bounced around over bumps and slid a little back and forth as we traveled down the highway in that big rig. Everyone seemed extremely busy at the airport. I looked up into the terminal and saw a person with a wireless bluetooth barcode scanner reading passengers’ tickets as they boarded the plane. I wondered whether I was related to the barcodes that are printed directly onto tickets, wristbands, and ID cards, like the ones I saw the pilots use to access the airplane ramp. Just then my thoughts were rudely interrupted when a guy in a yellow vest came over and took a picture of me with a 2D barcode scanner that could read both 1D and 2D barcodes. Before taking off, I was scanned again. I’m guessing maybe he wanted to double check that I was on the right airplane. I heard a beep verifying that I’d been correctly read. Everyone scans barcodes when traveling across the supply chain. After a long flight, we landed in a place that was hot and windy. Dirt was blowing all around us. I was getting pretty uncomfortable and I wanted out of there right away! Before I knew it, some big burly guy rescued me up and off we went again. The driver quickly scanned each of us before starting out. I was really tired and dozed off for a bit, lured by the rolling motion of the wheels. Then I heard a crashing sound. “Oh no, we’ve been in an accident,” I whispered under my breath. Pretty soon I heard the driver talking to this lady who kept apologizing over and over. Sirens signaled the arrival of the police. Luckily, there didn’t appear to be much damage, except for this one package that had taken a pretty hard hit. I was worried that our delivery driver wouldn’t be able to be read him anymore because the shipping label was messed up. After exiting the accident scene, we turned a couple of corners before landing in front of a big business. The driver opened the door and grabbed the package with the beat-up barcode. I held my breath until I heard the familiar beep, indicating an accurate scan. I assumed the driver was using one of those popular linear imagers or an industrial mobile computer, both of which can read poorly printed and damaged barcodes. I watched with anticipation as the relieved driver delivered the package to a manufacturer that would use its contents to make clothing for wholesalers. I started to notice the city sounds quiet as the delivery driver kept rolling along. In fact, I said goodbye to most of my fellow passengers before the truck made its final stop for the afternoon. I listened carefully for clues as to where we were. All of a sudden, the back of the truck flew open and there was our faithful driver. With a mobile barcode printer on his hip, he reached in and picked me! I’d arrived at my final destination! Before I knew it, the driver whisked me and my box into a house, where a mother and her children surrounded us with eager smiles. I watched with anticipation as the driver grabbed what I now know is a mobile computer and gave me one last scan. Then the mother digitally signed her name, and the driver printed and handed her a delivery receipt. I understand that the family knew we were coming—in fact, I overheard them say they’d been expecting our arrival. Good thing we made it on time! Back at my birth company, employees were instantly notified of our final arrival. In fact, because they had integrated their new barcode system with their existing systems, they were able to capture and analyze our every move, from the moment I came out of the thermal printer until I landed in our forever home. I understand these are the exact results my birth company was expecting. Barcodes on recent packages delivered here confessed that because my journey had been a huge success, our birth company is booming now! 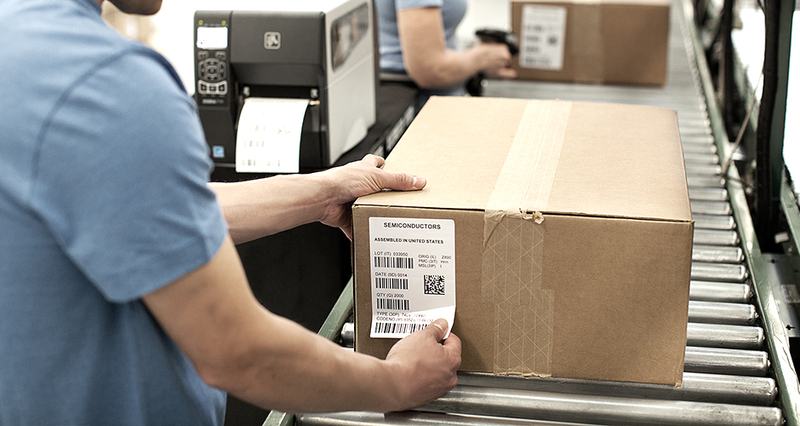 They are successfully manufacturing, tracking, and tracing thousands of packages with barcodes like mine. I think they even know which factory each part comes from, the flights packages take, the IDs of all delivery drivers, and the addresses of their final stops! That information ought to come in handy if any of us are ever caught up in one of those recalls I’ve read about. Does this story sound familiar? Maybe the version you know has barcodes sitting quietly under the hoods of automobiles waiting for their replacements. Or, perhaps you’re better acquainted with barcode labels that stick with produce until arriving in someone’s kitchen. 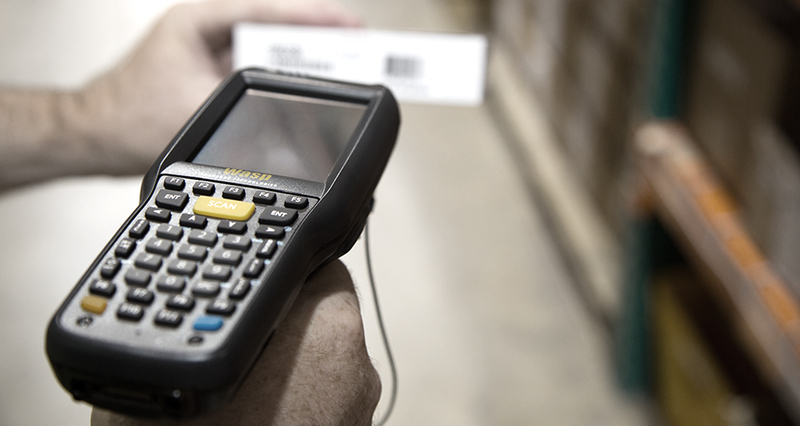 Regardless of a barcode’s purpose and journey, they all have one thing in common, the ability to simplify supply chain management across the world for seamless operations and optimal profitability. To ensure your products, parts, and people arrive safely at their final destinations with a trail of actionable insight intact, leave the planning to System ID. Our advisors can recommend the best barcode solution for your needs. Give them a call at 888.648.4452. Who knows? Maybe your barcode story might be featured here one day!